Hayao Miyazaki movies are all fantastic films not just in Japan but also in other parts of the world. 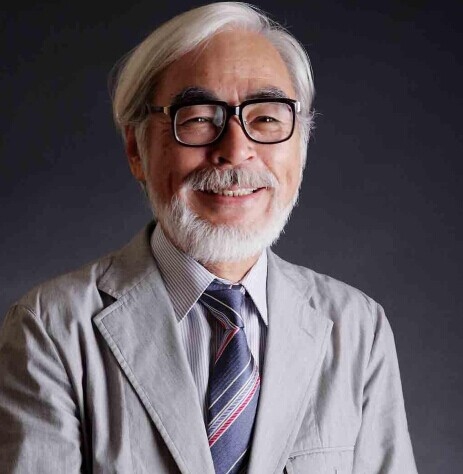 Hayao Miyazaki is one of the best animation directors in Japan. Interesting plots, convincing characters and amazing animation in his films have made him an international renowned filmmaker. He also earned public adoration in Japan. Walt Disney Company had committed to introduce his movies to other areas of the world, which will allow more people to acknowledge his works. As a renowned filmmaker, he had collaborated with Studio Ghibli. He had made his first movie in 1979 but it was in 1984, that people got interested in his films. Since 2011, he had directed many great films and these legendary films are perfect and incomparable to movies done by other companies. Some movies are undeniably big hits but are still not a match to the storyline and visuals of Studio Ghibli. Here are top 10 Hayao Miyazaki movies. The Wind Rises was released in 2013. It is a biopic of Jiro Horikoshi (1903–1982), designer of fighter aircrafts which were used by Japan during World War II. In the movie, Jiro always dreamed of flying and creating beautiful airplanes when he was a child. He got the inspiration from aeronautical designer Caproni. However, he could not be a pilot because he was nearsighted. Jiro decided to be an engineer and joined an engineering company in 1927. He became one of the most talented airplane designers. The whole movie centers on Jiro’s life and shows many historical events like Great Kanto Earthquake in 1923, the Depression and World War. Finally, Jiro met his greatest love, Nahoko and he also had a good friendship with Honjo, his colleague. Although the aircrafts Jiro designed were used in the war and he played an important role, the movie tries to show us a young and talented designer's life and love story in a different aspect instead of an emotionless military aircraft designer. Released in 2008, the movie tells a story of a 5-year-old boy, Sosuke and a goldfish princess who wants to become a human. Sosuke lives with his mother near the ocean. He then meets a beautiful goldfish locked inside a bottle. He decides to free and give her a name of Ponyo. However, Ponyo is a daughter of a sea goddess and wizard. She uses the magic of her father to change her to human. She falls in love with Sosuke but her transformation leads to a dangerous imbalance in the world. Her father sends ocean waves to look for her daughter. Later, the two children begin their journey to solve the imbalance of the world and to carry out the dream of Ponyo in becoming human. Hayao Miyazaki had stated that this film was inspired by the movie Little Mermaid created by Disney. The movie had won several awards, including the awards for Animation of the Year and Outstanding Achievement in Music at the Japan Academy Prize. Simple but attractive plots, amazing visuals, colorful ocean world will make everyone love this movie. The movie was originally released in 2004. Most of Hayao Miyazaki movies are all original except for this one since it was adapted from a book. It tells a story of 18-year-old woman named Sofi and a young wizard named Howl. Sofi is cursed by a witch, which changes her body to be old woman. Under the curse, Sofi has to look for her fortune which leads her to Howl’s moving castle. Inside the castle, as an cleaning lady, Sofi begins her journey to live with Howl. Howl is not cruel but incredibly brave, gentle and kind-hearted. Sofi gradually becomes young and beautiful as they fall in love with each other. However, they have to face a powerful enemy to survive in the war. However, there is a happy ending in the movie. Spirited Away was released in 2001. Many critics considered this as one of the best films of Miyazaki. The movie starts as Chihiro and her family just move to a small town much to the disappointment of Chihiro. As the family returns to their new home, they discover a strange place. So her parents decide to stop and explore with Chihiro. They enter an abandoned theme park and a restaurant full of delicious foods. Her parents begin to eat in the restaurant while Chihiro explores the theme park where she meets Haku, who tells her that they should leave immediately because they are in danger. When she returned to her parents, they are already transformed into pigs. The whole place was under the demons and spirits. Then Chilhiro begins her journey of saving her parents and exploration with Haku to find a way out of here. Porco Rosso is a story about poignant tale of a humanoid pig veteran. Porco Rosso was one of the best bounty hunters in the 1930’s. He was a former Ace but now he accepts flying contract jobs like rescuing victims kidnapped by air pirates. His best rival in the story, Donald Curtis had made the story more interesting. They are both rivals in getting women’s affection thus leading to challenging and hilarious ending for the movie. One of the trivia of the film is that they had used real names of popular Italian pilots like Adriano Visconti, Arturo Ferrarin and Francesco Barraca. My Neighbor Totoro was released in 1988. It is about two young children, Satsuki and Mei. The young girls transfer to countryside house with their father so they can be near to their hospitalized mother. Both sisters discover that the nearby forest is a place full of magical creatures known as Totoros. They decide to find the Totoros and they soon embark to magical adventures with Totoros. This film was released in Japan as a double featured film along with Grave of the Fireflies. The film was originally thought as a big financial risk if it was released as standalone film. But the influence of the movie to the world proves that it is a success. Castle in the Sky was released in 1986. It is the second film of Studio Ghibli and with this movie, Miyazaki's great talent in story telling was recognized. The plot centers on a young princess named Laputa and a boy Pazu. She wears magical necklace that allows humans to visit the flying castle in the sky. Laputa meets Pazu and together they search for the castle. Along their journey, they meet several pirates and other enemies. The visuals in the movie are superb and the animation is artistically done. The dubbed voice acting in the English version is really awesome. To this date, this is one of underrated films of Miyazaki but it is really good. This film is about Kiki, a young 13-year-old witch who goes to leave her family for a year in order to study witchcraft. All witches are required to seek a career. So she goes to have her own delivery service using her flying broomstick. As a witch, she is imaginative and very resourceful. With the aid of her cat, Jiji, she is ready to do everything to succeed. Critics say that this film is entertaining and it is good for the whole family though it lacks conflict that can make the story more interesting. Children will love the story for charming characters and good messages. The story follows a young warrior Ashitaka's involvement in a struggle between the forest gods and human beings who have insatiable greed for natural resources. Ashitaka also carries a deadly curse. To find a cure for his curse, he travels to the forests in the west. He meets Lady Bosh along with her clan which is fighting against Princess Mononoke, a girl who was raised by the wolves. Ashitaka tries to pacify both sides but it results to animosity from each camp. The movie has many violent scenes and children who like Miyazaki films may be surprised for violence in the film. However, Princess Mononoke is a pioneer film since it had started the use of CGI in animation. Whisper of the Heart is released in 1995. In the movie, Shizuku Tsukishima is a 14-year-old student at a junior high school. One day, she finds out that all the books she likes in the library are also checked out by one same boy named Seiji Amasawa. Later on, she meets a boy who infuriates her, she thinks that it is the same boy from the library. Then they become very good friends. Seiji's grandfather owns violin repair shop. He also likes to create violins like his grandfather. However, Shizuku's plan for her future is not as clear as Seiji's. But both Shizuku and Seiji are ready to achieve their goals at last. One of the soundtracks of the film is Take Me Home, Country Roads, performed by Olivia Newton-John. Server responsed at: 04/19/2019 11:03 a.m.